Here at Mira La Belle, we're all about frugal and invidual fashion. That being said, DIY-ing is definitely one of my favourite past times. 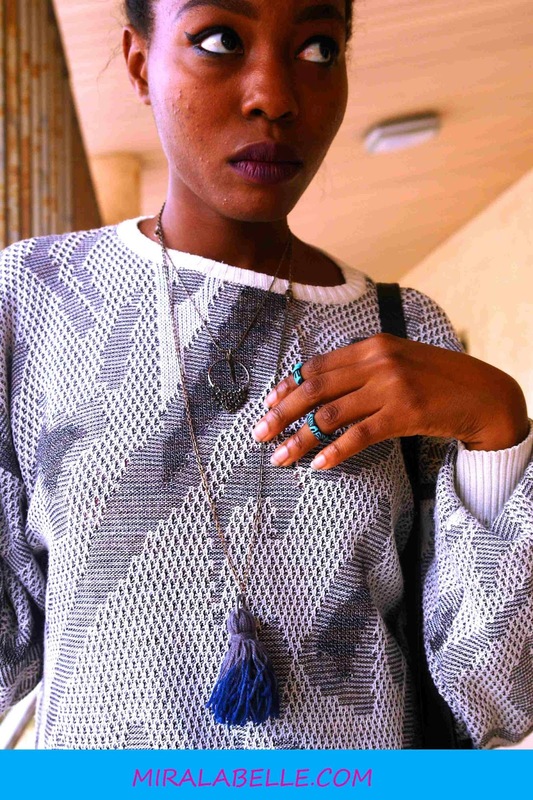 The best way/ path to individual fashion is to make things or put your on twist on things. 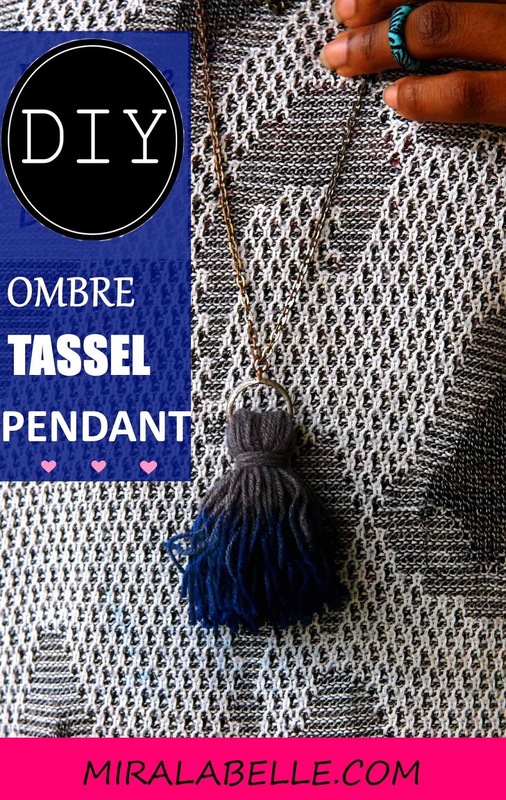 I have been loving tassels for a while now so I decided to make a tassel necklace pendant. I had been wondering what to use (was actually considering the ring of a key holder) then it finally hit me- I could upcycle an old ring. Fortunately for me, this ring had a pendant on it so I just removed the pendant and passed the neckilace through the jumpring. This DIY is, infact, bohemian inspired. Looking for a way to add a pinch of bohemian to your wardrobe? 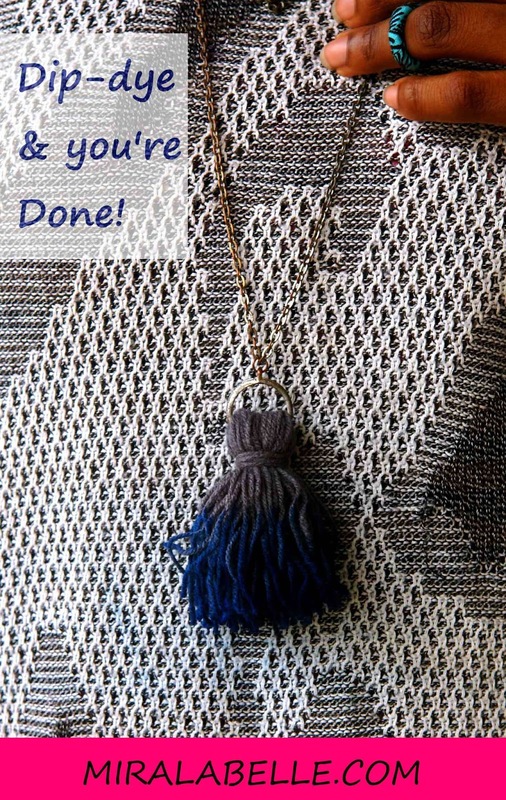 You can do this using jewellry and this tassel pendent is the perfect candidate. Cost: You probably already have the materials needed. 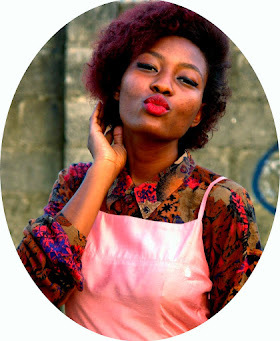 If not, a pack of yarn is about 100naira (less than $1) so this DIY is quite cheap. You definitely wont use all the yarn. Time taken: Minus the time taken for the paint to dry out, this should take less than five minutes. - Yarn. 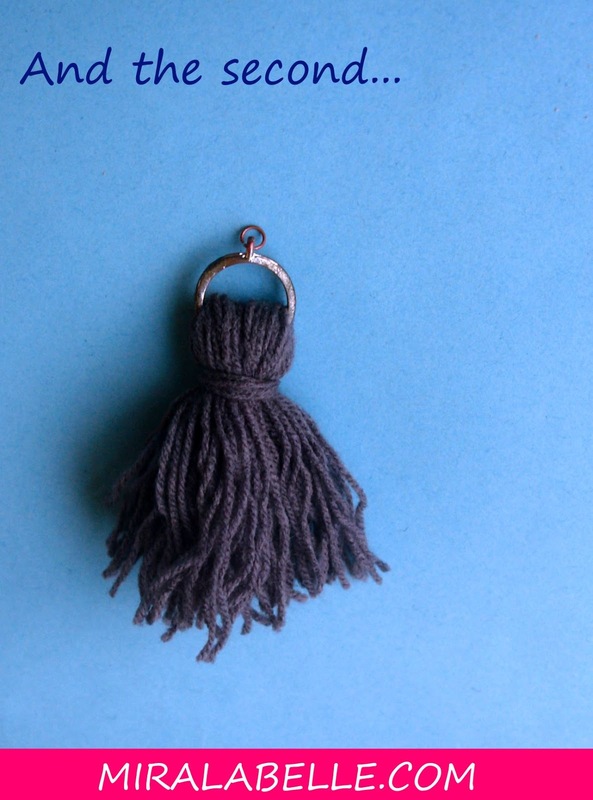 Grey yarn or something of a light colour that show the ombre effect we're going for. 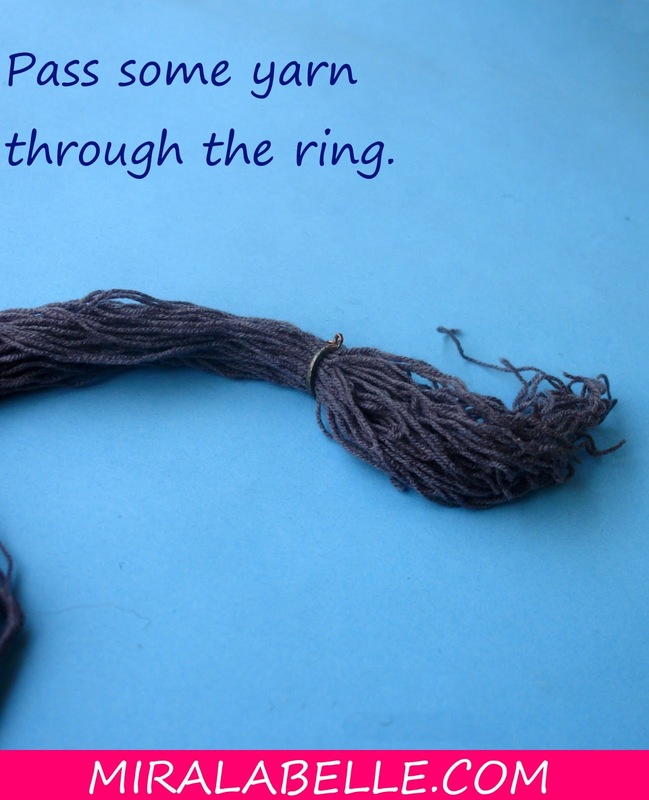 Pass some yarn through the ring. Make sure it's just the right thickness so want. I wanted mine quite full and long so I used a lot. 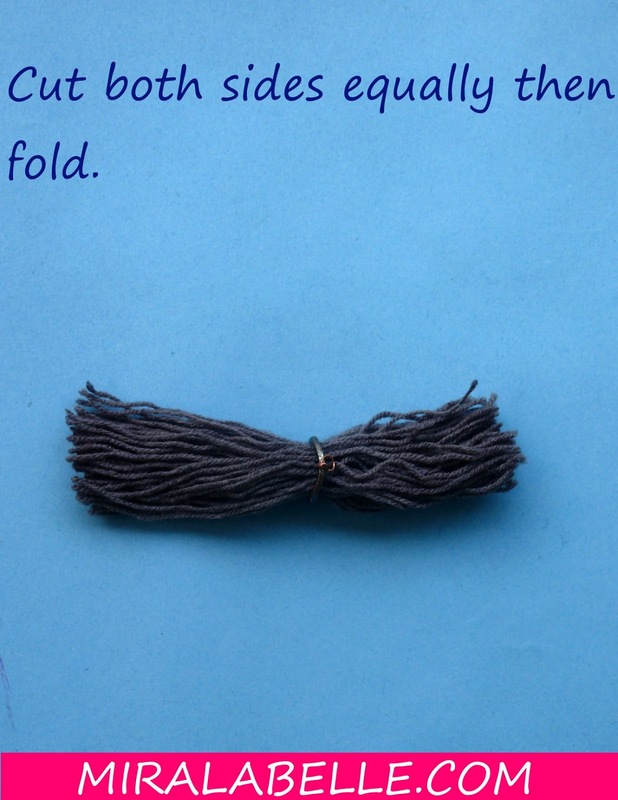 Put into mind that its going to be folded so while cutting, remember to double then check the thickness. Make sure the two sides are equal then cut. On to the tying stage! The thread being used for the first tying should be very strong and not likely to snap easily. Yarn is not good under tension so this is advisable but skippable. 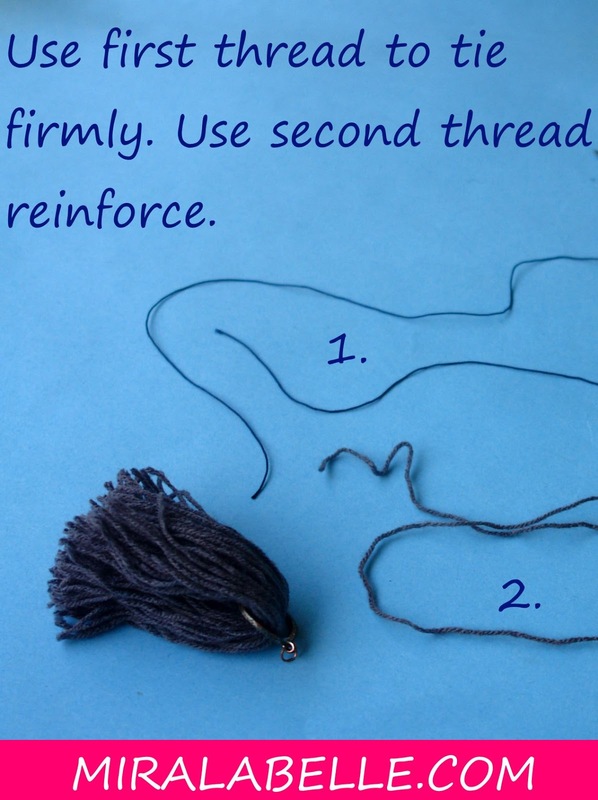 Use the yarn to reinforce or cover the thread used. It rather looks like a strapless dress doesn't it? 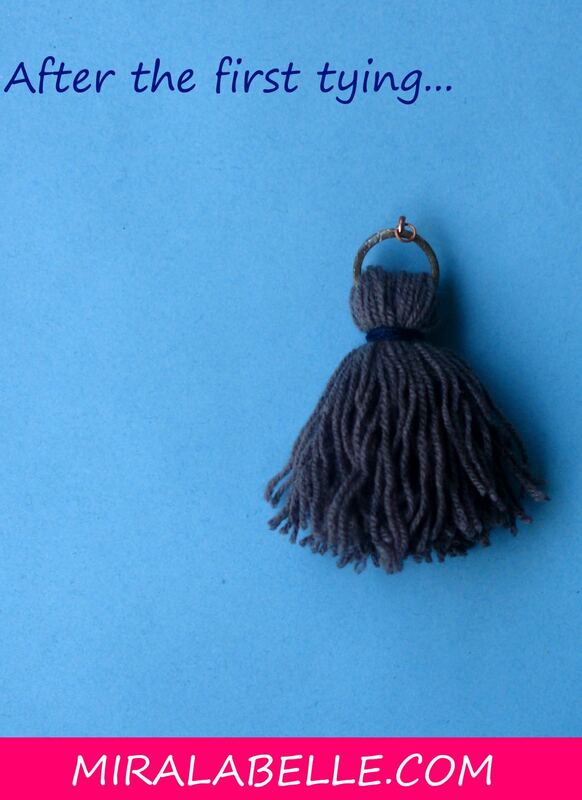 Trim off the tassel so everything's the same length. It makes for a more professional look. 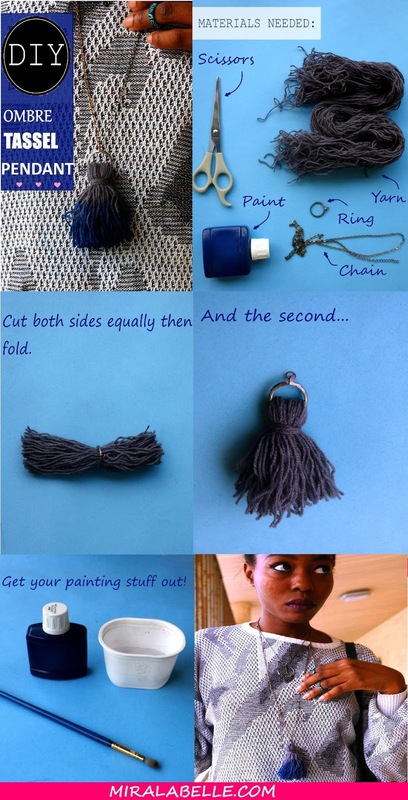 1.You could either dip the tip of the tassel into paint then dip half of it into water for a fading ombre look. I obviously recommend the latter. 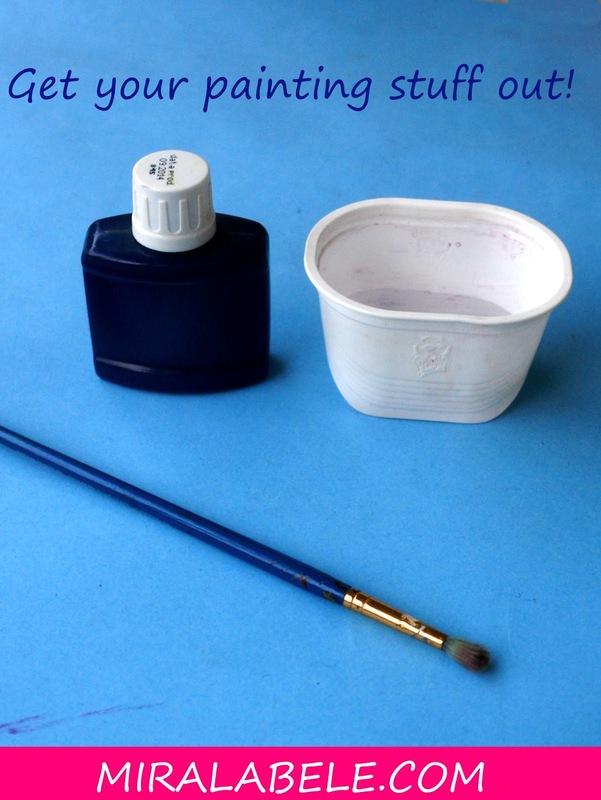 Dip your paintbrush into the paint the tip of the tassel then dip the brush into water and work your way up the tassel. This is a more controlled method. The necklaces and rings in this pictures were DIY'd. The ankara rings are a future post *wink* and the shorter necklace was made from earrings (before I decided to become a DIY blogger). Stay tuned for more DIYs! 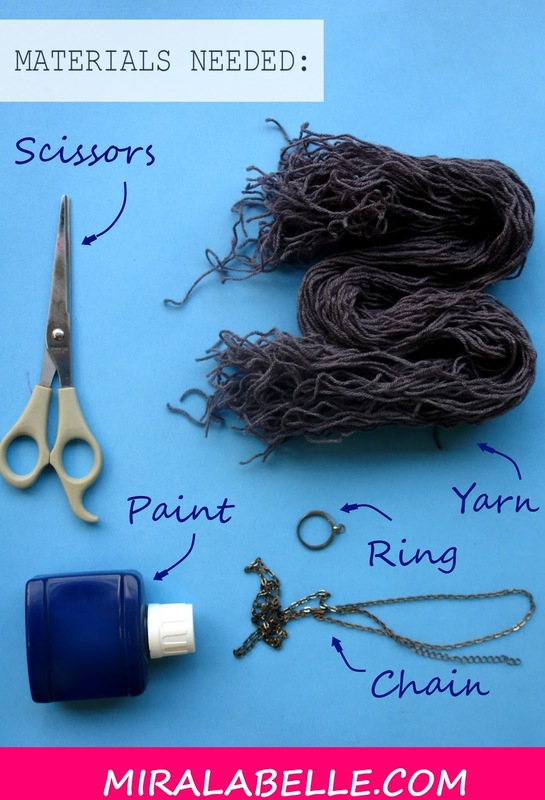 How would you/did you repurpose your rings and earrings? Don't forget to keep up with MLB on Instagram, Pinterest, Facebook, Google Plus and Bloglovin', lets connect! - Bohemian style inspired by Vanessa Hudgens. Now this I'm def going to try!!! Great! I'd like to see pictures. Hi darling, how are you today? I love this, another great post. Lol. 1 dollar is less than 100 naira? You don't know what's going on with exchange rate ? Cassie o. I said 100naira is less than $1 Not the other way around. ($1 is 255naira for now) Glad you like the DIY(s). Be expecting more. Well done! It's so pretty and unique. This is so cool! I love DIY stuff and I'm actually gonna try this out in my free time! yaasss! Send me the pictures when you're done please. Thank you grace! I wasn't so patient before. But knowing that I'd be blogging about it made be patient by force. Are you serious?? Can a pendant be made so easily? Is it durable enough & won't loose it's color? Yes, a pendant can be made that easily and it's durable if you do it right. This pendant was made December 2015 and I have been rocking it ever since. You can check it out in this style post I did August 2016. It has not lost colour or spoilt.